Buy three 23g can green, Get 1 FREE! Buy three 23g can red, Get 1 FREE! Aerosol spray for disclosing high spots and contact points. Also perfect for seating crowns. 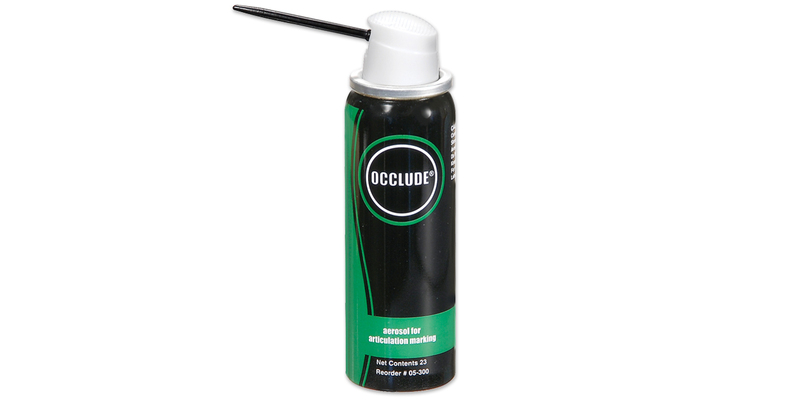 Dries instantaneously; adheres to dry or moist surfaces. Includes: 23g can aerosol spray, 1 dispensing tip. Includes: 75g can aerosol, 1 dispensing tip.